A while back I experimented with my first "wall garden". Here's my second attempt (pictures just in, thanks to Stephanie Wolff). 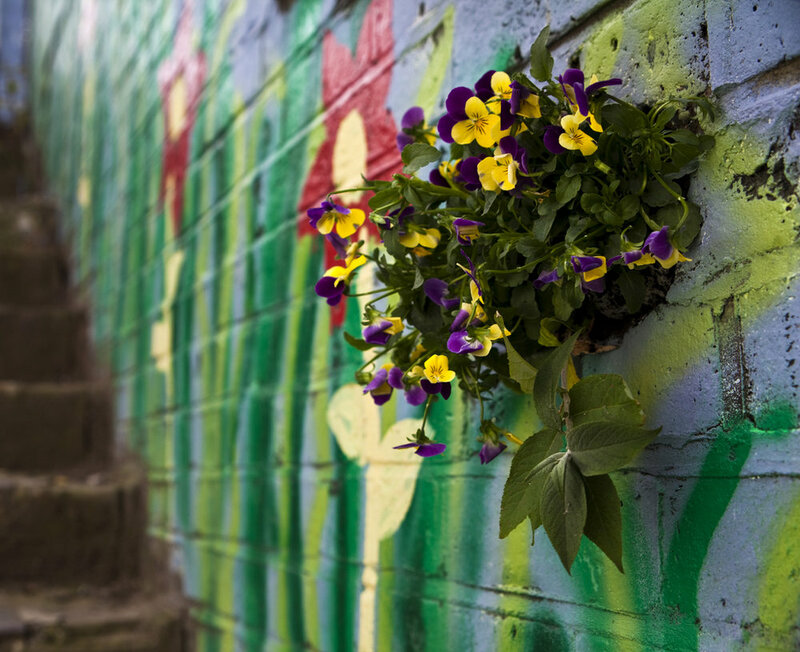 A colourful array of Pansies have brightened up this little hole which has made the perfect pot. I think it works really well with the graffiti on the wall. Speaking of wall gardens, last night my mate Kate showed me this amazing creation outside the National Gallery in Trafalgar Square, London. 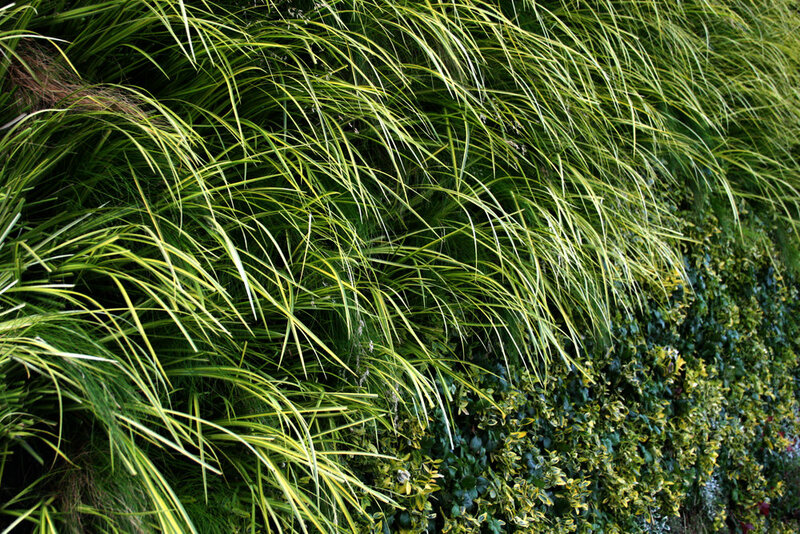 This living wall is a recreation of Van Gough's A Wheatfield, with Cypresses. 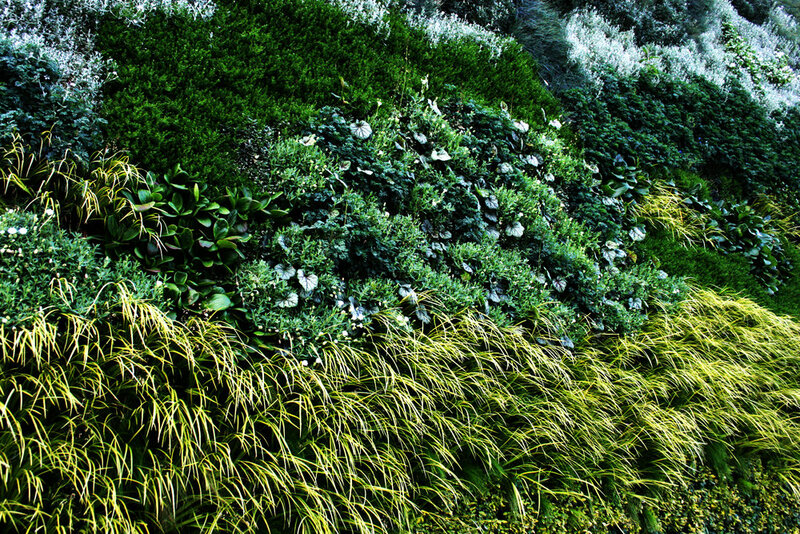 An incredible 8,000 plants make up this living wall. If you get a chance, check it out. It is absolutely spectacular. Thanks so much to Kate McAuley for introducing me to this great garden, and for these great pics. By the way, if you're inspired by these vertically challenged creations, Urban Allotments have vertical garden kits for sale.